Congratulations, you are now a homeowner! With all the newfound pride and freedom that comes along with home ownership, also comes a hefty dose of responsibility. Whether you have purchased a new construction home or a fixer-upper, you–as the homeowner–are now solely responsible for all repairs and upkeep in your home. No more calling the landlord or your parents to fix your house’s problems. 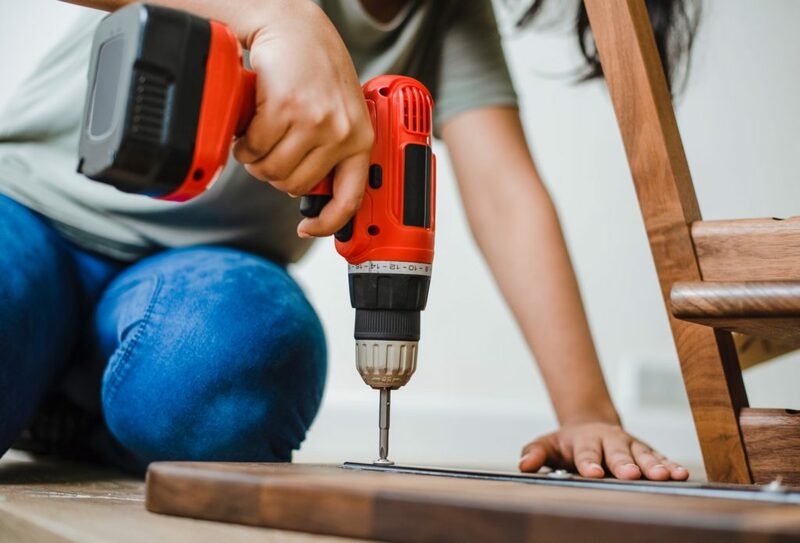 Thankfully, you don’t have to be a professional contractor, or even Tim “The Tool Man” Taylor, to handle most household repairs and DIY projects. What you do need, however, is a diverse and fully-stocked arsenal of tools. A cordless drill is one of the most a versatile tools you can own. At its most basic, drills are designed to drill holes and drive screws, but most also come with a wide variety of attachments, including rotary saws and sanders. Cordless models make life even easier. Sanding is a necessary, but very time and energy consuming part of every woodworking job. There are several types to choose from here (belt, orbital, palm, detail) depending on the job at hand, though orbital sanders will probably fulfill most of your needs. This power saw utilizes a toothed blade to cut various products, particularly wood–everything from 2x4s to plywood. This biggest pluses for this handheld tool is its versatility and mobility. Jigsaws are made to cut curves in wood and metal, as well as bevel cuts (angles). Like a circular saw, they are versatile and easy to use. Combined, the two saws listed here should be able to handle the majority of the cuts you will need to make. A handheld power tool with a rotary tip, this tool comes with a variety of attachments for different tasks that allow for used for sanding, polishing, carving and more. Basically, a smaller version of many power tools, rotary tools can be used with ease for smaller jobs. 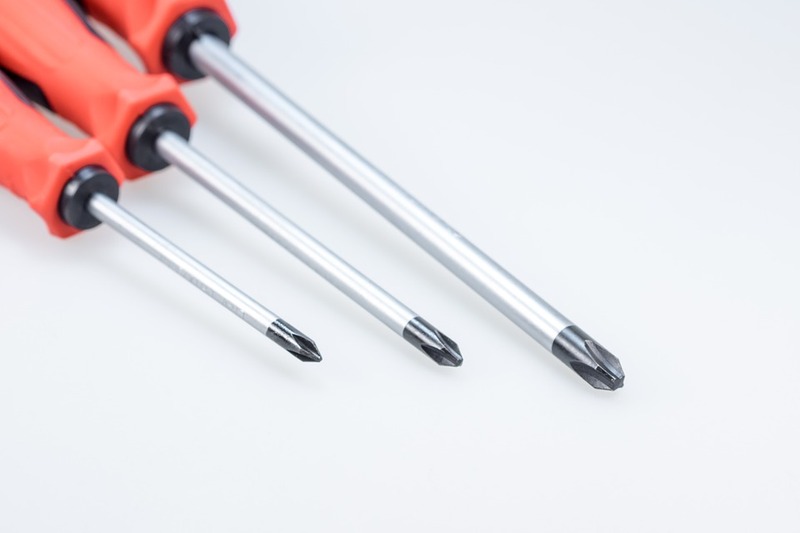 There are more to screwdrivers than just Phillips or flathead, and just those two screwdrivers simply aren’t enough. Size, length, sharpness, and functionality all play a part. Even though 24, 50, and even 100-piece sets exist, a reasonably priced 10-15 piece set is likely perfect. There many different types of wrenches and pliers, each designed for a unique purpose. You will likely never even hear of most of them, much less use them. There are, however, several types that everyone should have on hand, including slip joint, arc joint, needle nose, and locking (pliers) and open-end, adjustable, combination, and Allen aka hex key (wrenches). A socket wrench is a ratchet turning tool used to tighten nut and bolts. Because you never know where and what you will be working with, the various sizes available in a socket set are sure to have you covered. Additional accessories such as an extender can help even more. One of the most versatile pieces in your toolbox. Most are advertised as a 5, 10, or 15-1 tool that can do just about any simple task–scrape off paint or gunk, pry open paint cans, spread calk or adhesive, set or pull out nails, cut tape or string, and so much more. Also known as a box cutter, this compact knife can do a lot more than just cut boxes with ease (though that is pretty handy). It can also cut drywall, shingles, flooring, carpet, insulation, foam board, and more with just a single smooth slice. If you have ever hung a picture or shelf without a level, you are crazy. Don’t do it. Levels also conveniently double as a straight edge and ruler. When hanging heavier objects, including some pictures, shelves, and almost all mirrors, it is crucial to get a fully supported hold. To do this, you need to find the stud in the wall, and never rely on just a screw in the drywall. Plus, they are always the perfect setup for a classic dad joke! Along with a hammer, this one seems like a no-brainer, but you might be surprised how many starter toolboxes are missing this all-important piece. As for length, you need at least 12’, 16’ is nice, and 25’+ is enviable. A versatile tool that can be used for a variety of tasks, including roofing, insulation, wiring, upholstery, and various crafts. These powerful tools are capable of shooting hundreds of staples into a wide range of materials from concrete to wood in a relatively short amount of time. Almost always overlooked until you are covered in the blisters the next day. A durable pair of work gloves will save you from countless blisters, scrapes, cuts, and bruises. Available in many different styles and materials, gloves that are insulated or textured provide even more comfort and protection. At Avex Homes, we guarantee a well-built home backed by a great warranty. While you can be certain that your problems will not arise from poor craftsmanship or construction materials, home repair problems will still pop up from time to time. Get the most out of your home by equipping yourself with an ultimate home toolkit of your own!